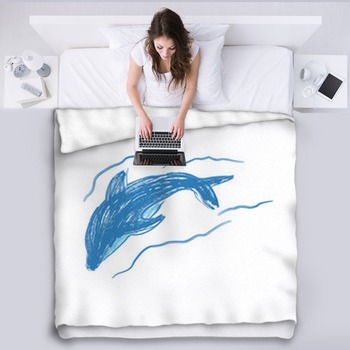 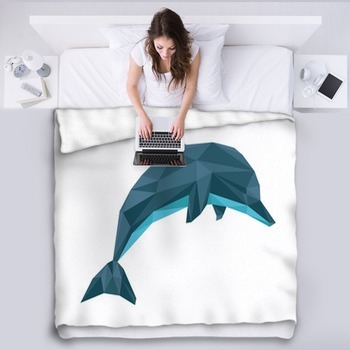 Dolphins are one of your favorite animals because they are intelligent, kind and graceful, so turn your home into a lagoon with our custom dolphin blankets. 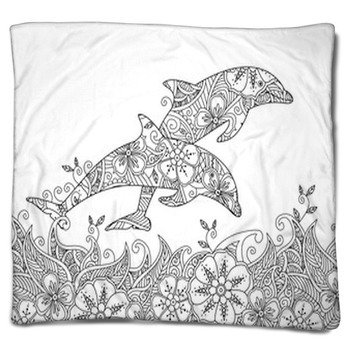 Dolphins have been known to rescue humans at sea from drowning and even protect us from shark attacks. 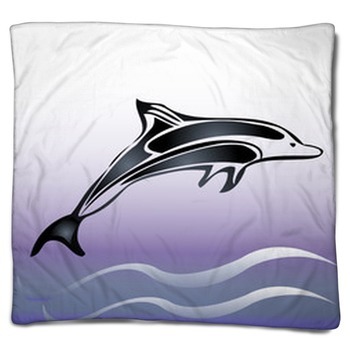 This incredible fact is represented in our blanket design depicting a dolphin beside a red and white life preserver. 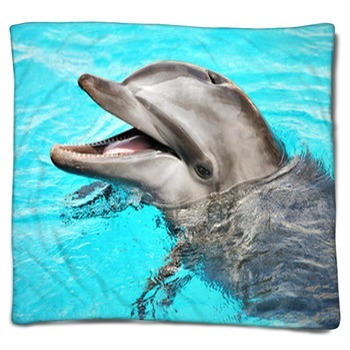 Dolphins have a complex language, advanced social structures, and the ability to learn tricks from humans or even to invent schemes to trick us. 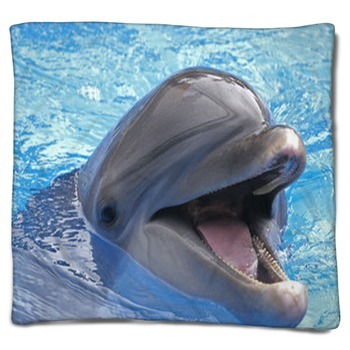 You can really see the intelligence of these animals in our dolphin blankets featuring photographic images of a dolphins thoughtful face and eyes, dolphins playing together in the ocean, leaping simultaneously as part of a show, or twirling in the air. 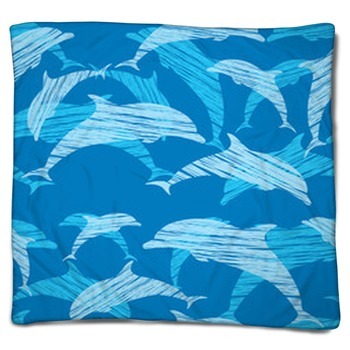 You can also enjoy a throw pillow, which make ideal additions to your couch or bed, with dolphins as part of a picturesque illustrated scene of ocean life: a green, palm tree covered island on the horizon, the sun setting into the ocean, coral, starfish and seaweed living on the seafloor, as dolphins swim and leap beside white capped waves. 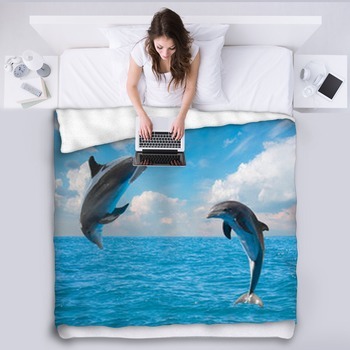 For something even more exotic and mysterious, choose our blanket design of dolphins inspecting an old shipwreck at the bottom of the ocean, the masts and riggings of the ship still standing up. 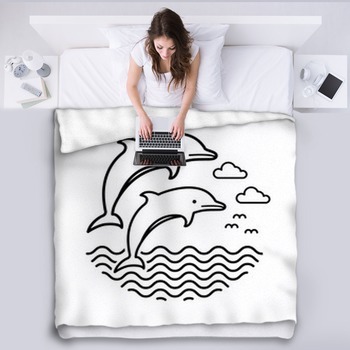 And if you're really adventurous, you'll love our blanket showing a woman hanging onto the fins of two dolphins and riding along across the water. 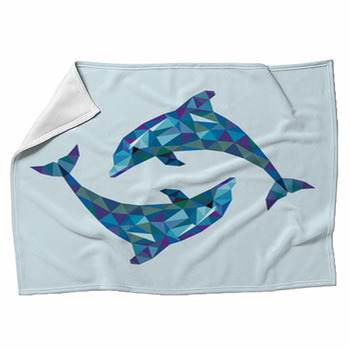 Dolphins are also included in our blanket design that displays a collection of other sea life as well, such as a seahorse, a crab, a starfish and a host of striped, spotted and wildly colored tropical fish. 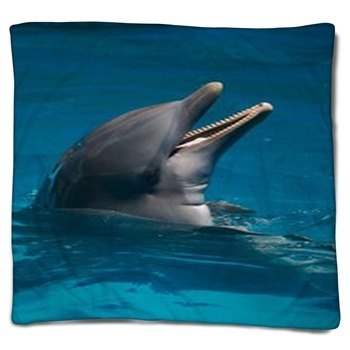 Bring the joy, beauty and big hearts of dolphins into your daily life with our dolphin blankets.